The Conrad Beijing is ideally located just off of the 3rd RIng Road in close proximity to the ex-pat area of Sanlitun. It’s near the iconic CCTV Headquarters and Beijing’s new CBD. It’s a busy are but it’s convenient to the airport and most major attractions. An upgrade to a suite is always welcomed. The Conrad Beijing offers 289 rooms and suites, three restaurants, three bars and lounges and a nice pool and fitness center. It has all the amenities a five star hotel should offer. The Executive Lounge featured breakfast, light snacks throughout the day, afternoon tea and canapes. It’s selection of beer, wine and cocktails was limited and there could have been another hot dish or two. However the staff were exemplary. The suite was bright and airy and well appointed. The sitting area and work area was large and well laid out with thoughtful touches. The design is modern with a subtle Chinese motif. The bedroom was large and well laid out with access to the bathroom which featured an oversized sunken bathtub, rain shower and separate toilet around a large closet and wardrobe area. 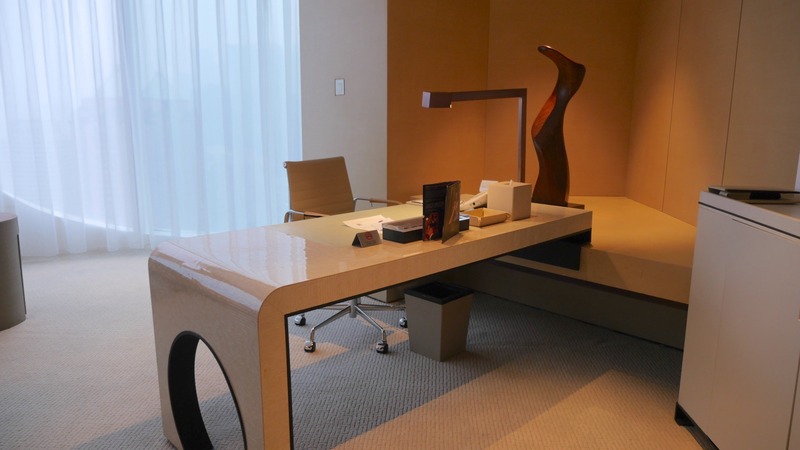 The Conrad Beijing is a nice property with great management and a caring staff. 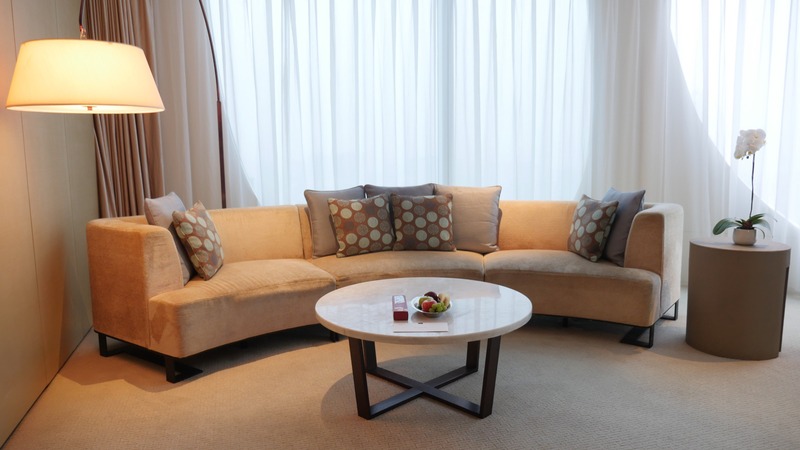 They are well located and this suite makes for a great stay. 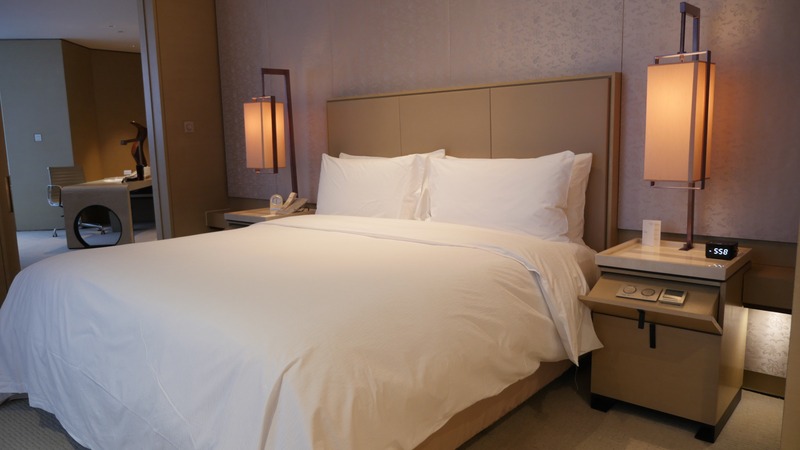 There are many nice properties in Beijing but the Conrad Beijing still should be on your list. It offers the perfect combination of the amenities a large property with the quietness of a smaller hotel.